If you can persuade a cat ... you can persuade anyone. This is the essential guide to getting your way. 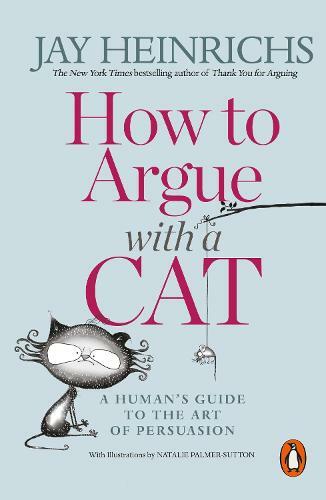 Jay Heinrichs, award-winning author of Thank You for Arguing and advisor to the Pentagon, NASA and Fortune 500 companies, distils a lifetime of negotiating and rhetoric to show you how to win over anyone - from colleagues and bosses, to friends and partners at home (and even the most stubborn of feline adversaries). You'll learn to: Perfect your timing - learn exactly when to pounce; Get your body language, tone and gesture just right; Think about what your opponent wants - always offer a comfy lap. Lure them in by making them think they have the power The result? A happy, hopefully scratch-free, resolution.